One of the dark and often dirty secrets that plague our society is domestic violence. According to the National Coalition Against Domestic Violence, one in every four women will experience this type of abuse in her lifetime; a statistic that is alarming. Based on these numbers, more work is needed to help those affected by this oftentimes unseen form of violence. Resources allocated for programs that assist individuals in need have steadily decreased over recent years however, there are still agencies that continue to see the need and continue to reach out. One such agency is Inner Peace Christian Life and Marriage Coaching, a Portsmouth, Va., agency that helps individuals deal with issues that negatively affect their lives and helps them understand God’s plan for their lives. One main focus of Inner Peace is to help women affected by domestic violence. The CEO, Erica Hermann, started the agency because she saw a serious need and realized there were limited places for abuse victims to go for assistance. While working for years in home health, “I found myself doing more ministering when I went to visit versus anything else,” Hermann said. Hermann said she sees her work as a ministry not just a business. 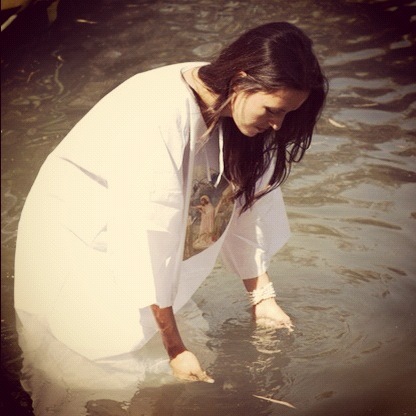 God was telling her where He wanted her to be; He wanted her to go towards ministry, and she said yes. Once launching her business, Hermann quickly began to see the layers of issues clients were dealing with. Women would come in for one issue and through coaching sessions, other issues such as childhood sexual abuse and low self esteem would be revealed. When these issues are coupled with current physical or emotional abuse, it makes the path towards healing a long road to travel for many. To help clients down this road, Hermann uses individual coaching sessions along with Bible studies that focus on the biblical truth that God loves them and the beauty God sees in women. Lessons also focus on topics such as the Proverbs 31 woman. According to Hermann, “a large percent of the women do not know who they are in the eyes of God” and because they are in abusive relationships, many find it hard to believe God really loves them. Another issue that Hermann helps the women deal with is the jaded view many have concerning submissiveness. This view often comes from years of misinterpreting what the bible truly means about the subject and often times this causes many Christian women to stay in abusive relationships. It may be hard for an abused woman to relearn what submissiveness truly means in biblical terms and to learn that the husband is mandated by God to love their wives as their own body (Ephesians 5:28), not to abuse them. Hermann believes the church can play an important role in helping women get over this hurdle by providing sound biblical teaching about submissiveness, providing domestic violence education to their congregations, and offer support groups. Hermann’s prayer is that her services will help women get to a point when they are no longer in abusive relationships. To help women get to this point, the agency offers more than just coaching sessions. Inner Peace also provides job training/placement assistance, transportation, assistance finding shelter and other community resources. These added services can be invaluable to a woman fleeing abuse. Inner peace says a lot about what Hermann is trying to accomplish. To her, inner peace means “to have peace; a peace that God meant for us to have” and her desire is to continue to minister to abused women so they can experience the inner peace that can only come from God. For more information contact Inner Peace at 757-774-0388 or visit their website at www.inpcoaching.com or on Facebook at https://www.facebook.com/innerlifecoaching. 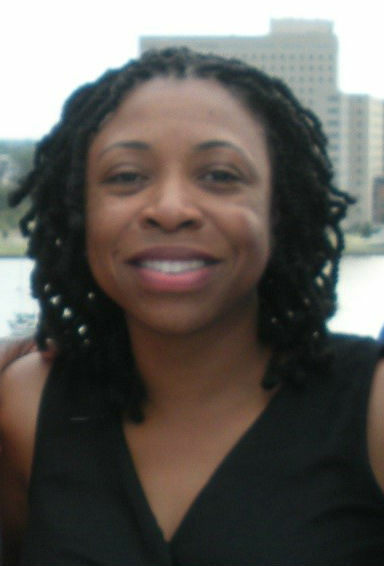 Tera Alston works as a women’s ministry leader and human resources professional in the Hampton Roads region of Virginia. She also partners with her husband to assist at-risk youth and their families. 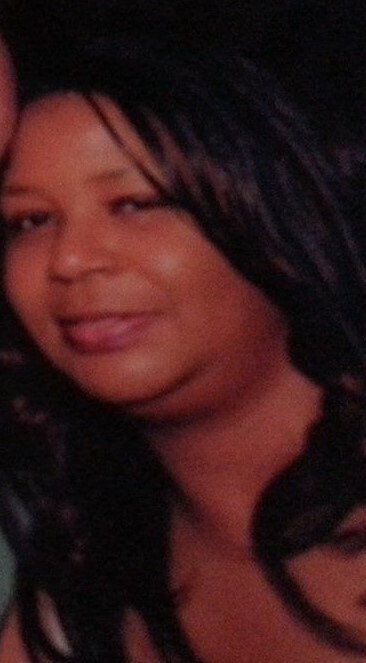 She has a BSBA from Old Dominion University and an MBA from Saint Leo University. Shevon Sampson is the founder of Sowers Reap International and the creator/designer of the Christian based board game 2 Sow or Not 2 Sow. Passionate about helping others change their life when it comes to finances, Sampson believes that you are never too young to learn about finances. That is the principle behind the conceptualized game 2 Sow or Not 2 Sow. 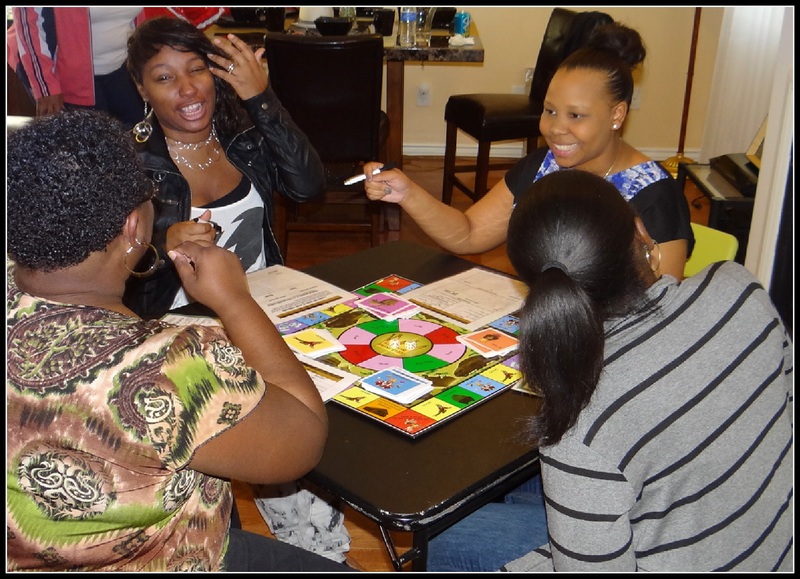 An interactive board game, 2 SOW OR NOT 2 SOW takes its players on an entertaining yet educational journey filled with life lessons, teachings about decision making and consequences and spiritual challenges. To learn more about Sampson’s 2 Sow or Not 2 Sow, visit www.sowersreap.com or follow the company on Twitter @sowersreap and Facebook. 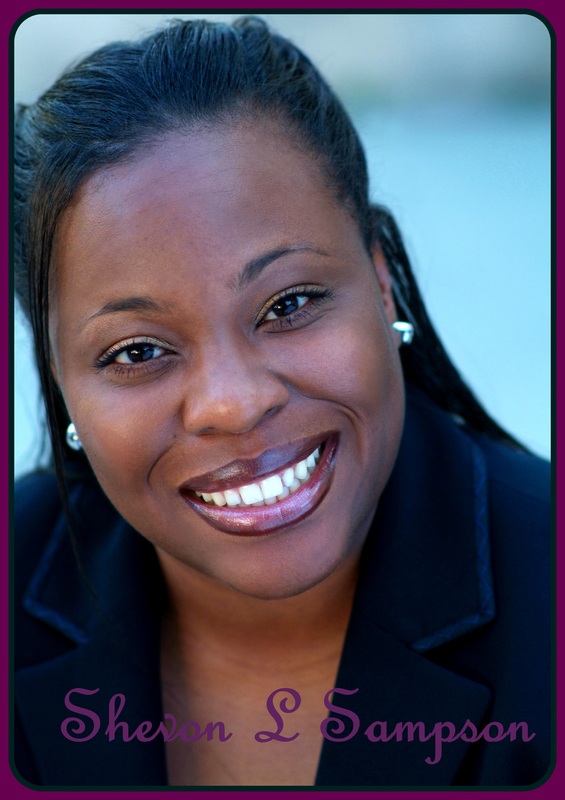 Michele Lawson, RHIT, is a freelance writer, brand manager, and public speaker who is passionate about helping other succeed in business. Previously trained at the University of Florida, Michele taught communication skills, diversity, professionalism, and effective job searching which included resume building and interviewing skills. 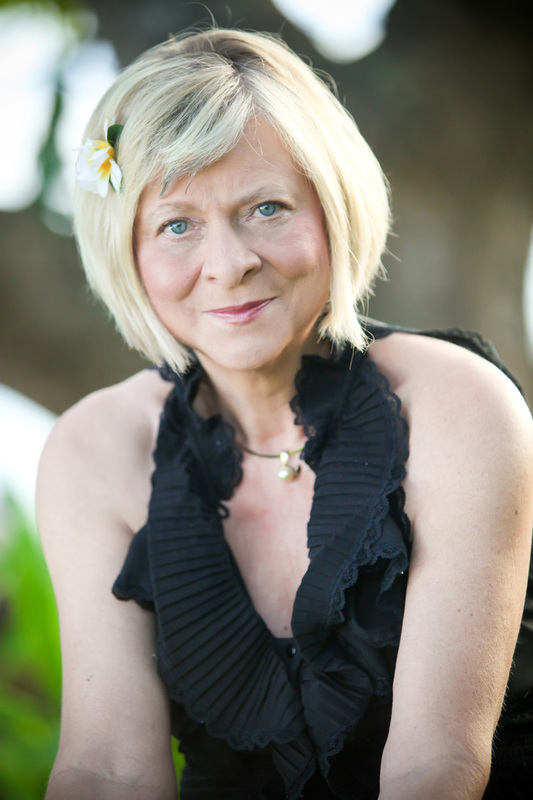 Michele now helps others with professional development, social media marketing, and provides one-on-one coaching. Editor’s note: Natalia Love is the author of “The ‘How to Love’ Manual” and a private practice pediatric physical therapist. 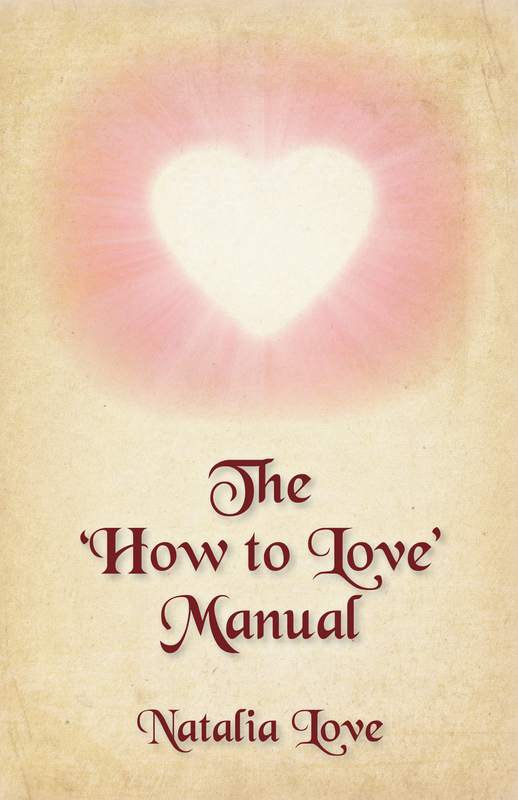 “The ‘How to Love’ Manual” is a guide to walking the sacred path of love and relationship. It serves as an invitation to step into a new way of living love that is spirit-centered, love-inspired, and forgiving. And in her physical therapy practice, Love provides rehabilitation to beautiful children challenged by developmental delays and various pathologies such as stroke, brain injury, and genetic abnormalities. “The book was written as a result of a personal breakdown that led me into one of those dark nights of the soul. And as I walked through the valley of the shadow of death, God’s comforting presence grew, inspired me to write and literally saved me. “The best advice I can share with an entrepreneur is to fear the Lord. With great power comes great responsibility. We all will render an account before Him one day, and those of us who have been vested with much, will be responsible and held accountable for much and many. Therefore, we all must ask ourselves, are we doing the Lord’s business, or our own business? Does our business bring glory to God, or glory to the world and us? Is our life, personally and professionally in integrity with the Scriptures or with the world? It is always good to remember what the old proverb says, “The beginning of wisdom is to fear the Lord, and acknowledging the Holy One is understanding” (Proverbs 9:10). Follow The “How to Love” Manual on Facebook: https://www.facebook.com/pages/The-How-to-Love-Manual/310561518957350. Also follow Natalia’s writings at www.natalialove.org. Editor’s note: Kami Darnell is owner and creator of Simple Sarongs. Simple Sarongs are a swimsuit cover-up innovation – a one- size-fits most buttonable sarong that also doubles as a fashionable beach towel. Although she does some retailing through her e-commerce website, Darnell’s primary focus is wholesaling to the gift and swimwear retail market. “As a busy mom going to the pool all summer, I saw a gap in the market for a cover-up that could actually be worn when getting out of the water. After struggling to keep a beach towel tied around my waist, and seeing other women doing the same thing, the light bulb went on that adding buttons to a beach towel was a great idea. And having multiple buttonholes to choose from makes it fit nearly everyone. Learn more about Simple Sarasongs at www.simplesarongs.com. Know of a Christian entrepreneur who would make a great guest writer for the Pew Business Spotlight? Email us at pewnews@aol.com. Editor’s note: Kathy Hill is founder of Tax Tiger, a tax resolution business specializing in resolving IRS liabilities for taxpayers; it is based in Sacramento, Calif.
“The major scripture I draw from is Jeremiah 29:11 which reads: ‘For I know the plans I have for you declares the Lord, plans to prosper you and not to harm you; plans to give you hope and a future.’ This scripture speaks to my heart and lets me know daily that God has great plans in store for my business to prosper and I trust in His word. He has never failed me. Learn more about Tax Tiger’s services at www.taxtiger.com. Also, visit Hill’s author site at http://kathyhillauthor.com/. An athletic ministry and a Christian jewelry company have found the perfect way to put Christ on the minds of the athletes who are taking part in the Sochi Winter Olympics. Shields of Strength, along with Athletes in Action (AIA), a ministry of Cru (formerly called Campus Crusade for Christ), will minister to coaches and competing athletes by providing spiritual, emotional, and mental support in the multi-faith center of the Olympic Village. Team member and Olympic Chaplain Carl Dambman has been ministering to Olympic athletes in both the summer and winter games for the past 33 years. He said a dozen AIA staff and volunteers will distribute the shields to athletes who are seeking God’s word. “The world’s eyes are on heroes of the sports fields, and we want to strengthen and encourage them as people watch them relying on God as their Creator, their Savior, and the One who gave them the talents to perform,” Dambman said. 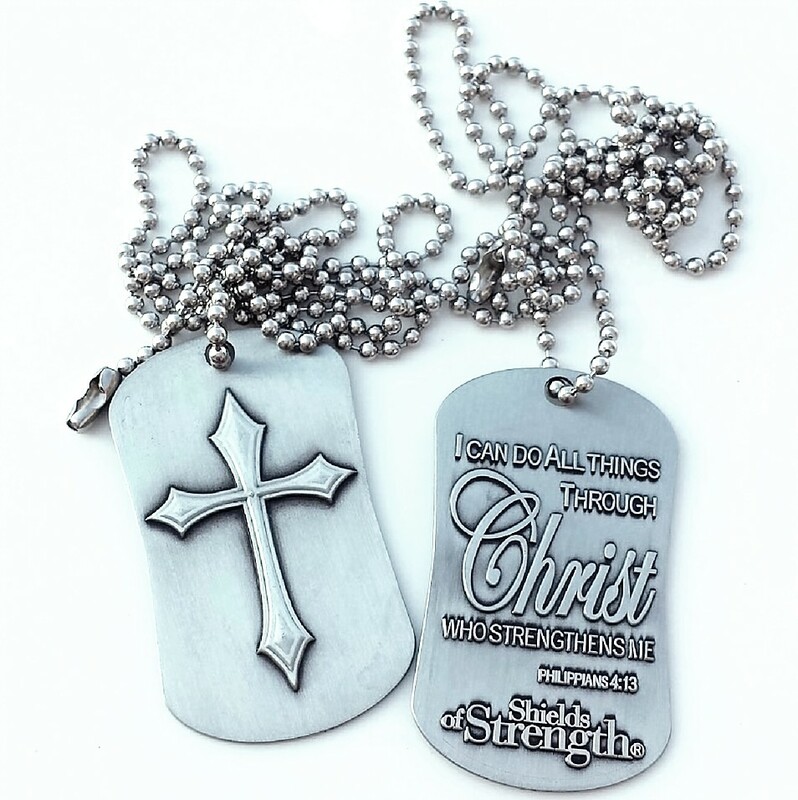 Kenny Vaughan, founder of Shields of Strength, said that the company has donated over one million of the three million shields they produced to individuals, the U.S. military, churches, and ministries such as AIA. Both Vaughan and Dambman find that the organizations’ new partnership works well. “Our missions align well because we can give them a tool to help them share Christ through a one-on-one relationship,” Vaughan said. Vaughan said he understands the fear and pressure that Olympians experience during competition. While trying to win a U.S. Nationals for the water ski long jump, he described a comparable feeling that he was insufficient. “The unique thing about an athlete, especially in the Olympics, is that they are prepared for pressure,” he said. “But until that moment when you should be disciplined, it’s then when you find yourself saying, ‘God I need you.’ Right then is when you’re even weaker than you realized. During his time of doubt and fear, Vaughan’s girlfriend (now wife), Tammie, wrote scriptures on his ski equipment, which, through God’s power, found their way into his heart and eased his fears. This led Vaughan to inscribe verses onto dog tags and wear them underneath his shirt. From that first shield, Shields of Strength has grown to also include women’s jewelry and other accessories, like key chains and athletic tape. Seventeen years later, the company hopes that the shields can help Olympians as they face the same trials during competition. “Love doesn’t always guarantee a win in life; it just ensures we compete with all we have and that gives us a better chance to win,” Vaughan said. 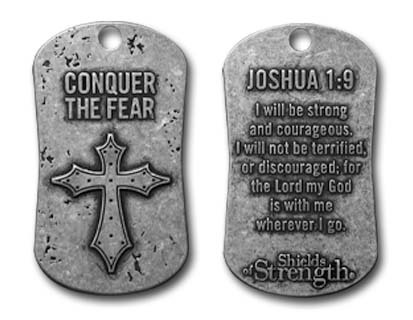 According to Vaughan, the shields have be found on the battlefield and the football field, providing encouragement as a simple reminder to new and established Christians alike. 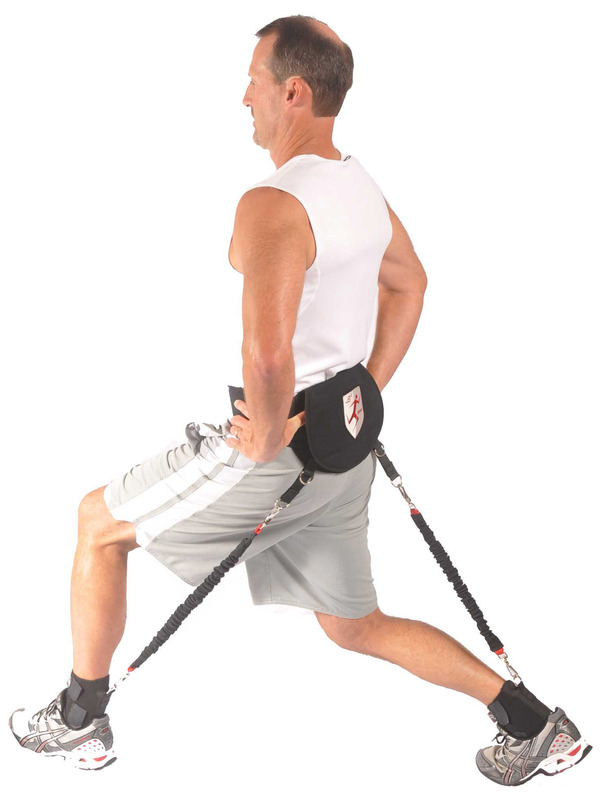 Learn more about Shields of Strength at www.shieldsofstrength.com. A Christian clothing line founded by a former NFL player ranks as the top read story on Inside The Pew for 2013. Mark Clayton, who was drafted by the Baltimore Ravens in 2005, launched his own clothing line – My Christian T – back in 2011. Although Clayton confirmed with Inside The Pew on Twitter in 2012 that he no longer operates the clothing, there is still an interest in the wide receiver’s entrepreneurial aspirations. Clayton was traded to the St. Louis Rams in 2010, but injuries signed the Oklahoma Sooner’s career in the NFL. He told Sean Devine of Did You See That?! in September he has no regrets about his NFL playing days. Three other sports related stories made the top 10. The filming of a biopic on high school football coach Bob Ladouceur in New Orleans came in at No. 4, while stories about Super Bowl XLVII coaches (and brothers) Jim Harbaugh and John Harbaugh were ranked No. 7 and No. 8, respectively. The story of Tyres Dixon, a Houston resident who works for the United Way and winner of the nonprofit organization’s Achiever of the Year, landed at No. 2 on the list. Three stories from the Pew Business spotlight landed in the top 10. Whitening Lightning founder Jennifer Gerard (No. 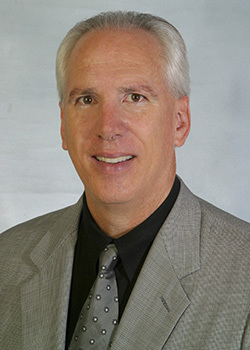 3), National Association for the Exchange of Industrial Resources (NAEIR) president and CEO Gary C. Smith (No. 9), and Ezechiel “Zeke” Bambolo and First Born Son Inc. (No. 5) made the annual list. Grelan Muse Sr., founder of Inside The Pew, was pleased at the amount of popularity generated by the spotlight. The section was officially launched in March. Fly Away Records and its Rhythm of Gospel Music Award nominations (No. 10) and Melanie Stone’s column on the attributes of a Kingdom builder (No. 6) rounded out the top 10. Editor’s note: Gibbs Wilson is the CEO of Alpha-Omega Title Insurance Services. For more information on Alpha-Omega Title, visit www. www.alpha-omegatitle.com. Inside The Pew highly encourages networking among Christian business owners. Do you know of a Christian business owner we should spotlight? Send us an email at pewnews@aol.com. 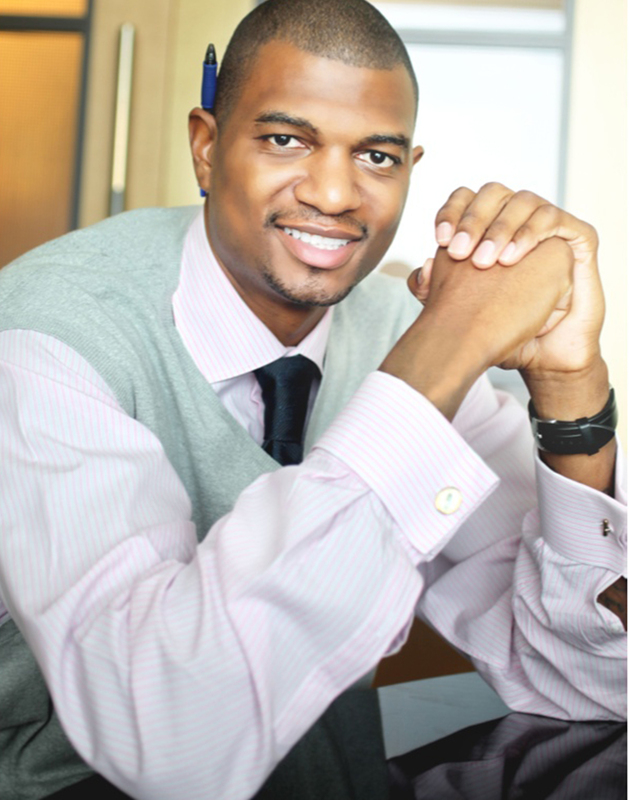 Editor’s note: Jonathan Bender is a former NBA player (Indiana Pacers and New York Knicks). He is founder of JB Intensive, a health and wellness company. Bender is also founder of The Jonathan Bender Foundation, a 501 c3 nonprofit organization. Learn more about Bender and JB Intensive at http://jonathanbender.com/. 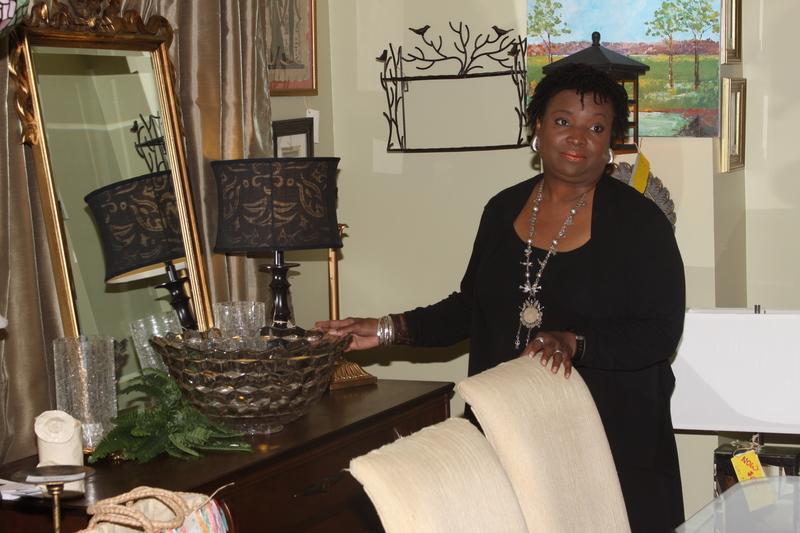 Editor’s note: LaCheryl B. Cillie is founder of Thrift Style Living. She teaches people how to live fabulous yet thrift. Collie conducts a webtalk radio show where she interview celebrities who thrift to fashion editor from Paris about thrifting and how to get the best for less. Cillie is also a licensed auctioneer who does estate sales, benefit auctions, also an author. “We try to teach people how to be good steward of their money, spending less for the best, and how to recognize things of value from fashion to collectibles to general household and everything in between,” Collie said. “There are several scriptures which I draw great strength from, the two most notable being: First, in 1 Corinthians 12:7, the apostle Paul says that gifts are given for the common good, thus we are to use them to help others. I have the gift of being able to recognize things of value, great aesthetics, and being able to communicate with a warm spirit with others. This gift is for me to help others get the best for less, recognize valuable collectibles, and antiques as well as being good stewards of the things God has given to them or placed in their path. Being able to find something someone needs at a price they can afford is a great thing. Also helping people to sell things and get great prices when they did not even realize they had anything worthwhile to sell is a gift God has given me for that purpose.